Though it may not offer quite the pedigree of a city like San Diego, Santa Cruz is absolutely a golf-friendly part of the Central Coast. With several local courses of varying difficulty, there’s truly something for everyone, from newcomers to the game to seasoned pros. We’ve even got a local course designed by world famous course architect, Alister Mckenzie. Not all of these courses are in Santa Cruz, but those that aren’t are all within a short drive from the area. If you feel adventurous, there’s plenty more great courses to see just south in Monterey. 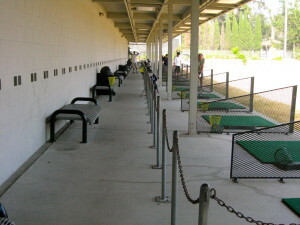 Driving range at Delaveaga Golf Course. Delaveaga Golf Course & Lodge – Delaveaga is a nice, full 18-hole course that is challenging but not overly difficult. They regularly hold tournaments and have events at the course, which tend to draw a nice local crowd. The clubhouse is also home to a restaurant called “The Lodge” which offers some decent eats for breakfast, lunch and dinner. Delaveaga also has one of the nicer driving ranges around, giving golfers a chance to work out the kinks before they hit the links. There is also a putting and chipping green. Pasatiempo – Pasatiempo is a lovely course designed by renowned course architect Alister Mackenzie, who also designed Augusta National. The course is “semi-private,” meaning that it is only open to the public during certain times. It should be noted that Pasatiempo has both a dress code that must be adhered to, as well as a requirement that all spikes be plastic rather than metal. It is, without a doubt, one of the most beautifully designed and well-maintained courses we have in the local area. Seascape – A very nice 18 hole course located in nearby Aptos, Seascape is a nice complement to Delaveaga as they are similar in difficulty. It’s got plenty of ups and downs, ravines, and a few holes that offer some unique challenges. Though the course is located very near the ocean, there aren’t many spots that provide the sweeping views of a Pebble Beach. They also have practice facilities, a pro shop, and food and drink at the well-maintained course. 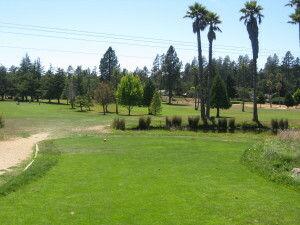 Valley Gardens – Valley Gardens is a straightforward and fairly easy nine hole course located in nearby Scotts Valley. It’s the most affordable of the local courses, but is also the least challenging. There is a pond on the course that’s in play on some of the holes, though it’s fairly easy to navigate around unless you mis-hit the ball. A great place to grab a quick round if you don’t have time to play 18. Boulder Creek – The Boulder Creek Golf Course is an 18-hole course that is fairly short and straightforward. There are a lot of tree-lined fairways that will punish errant shots, but there is not anything particularly tricky or difficult about the course. It’s a great course to play a “quick” 18 (if such a thing exists) since it is much shorter than the other local 18-hole courses. Golf belongs – without any doubts – among the most favorite outdoor activities Santa Santa Cruz has to offer.